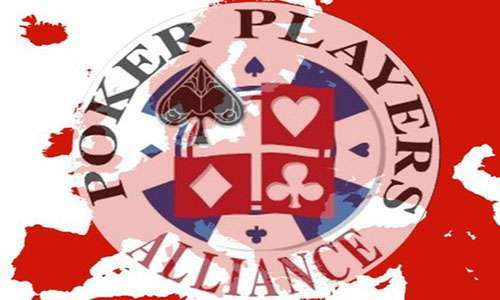 The US state of Kentucky’s ongoing war against international online-gambling companies has taken a new twist, with the Washington DC-based Poker Players Alliance filing its own joinder in a Kentucky-based case which the state originally brought against bwin.party (parent company of PartyPoker) and PokerStars five years ago. The situation remains fluid, with some uncertainty existing as to whether the PPA was successful in its initial filing, a countersuit against the state of behalf of the state’s roughly 14,000 PPA members. 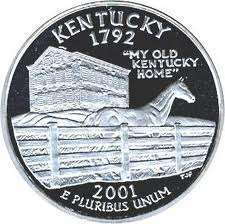 Kentucky’s attempts to whitemail the international online-gaming community have marched on for more than seven years. Back in 2008, the office of Kentucky Governor Steve Beshear, spurred on by a third-party legal firm, sought to seize 141 domains associated in some form with online gambling. That suit proved largely fruitless (the state did win a couple of small settlements from gambling firms that had unwisely used US-based registrars), and eventually brought the state into conflict with the US’s federal-level Department of Justice when the DOJ filed its 2011 “Black Friday” case. Kentucky, in 2010, with its seizure efforts largely laughed at by the rest of the world, tried a second time against online giants PokerStars and PartyPoker. That’s the ongoing lawsuit that the PPA’s motion seeks to join, on behalf of PokerStars as well as Kentucky players; PokerStars has long been a prominent supporter of the PPA. PartyPoker parent bwin.party — originally PartyGaming when the 2010 lawsuit was filed — bought its way out of the lawsuit with a $15 million whitemail payment to Kentucky in 2013. That left PokerStars as the sole defendant in the Kentucky action. Whether or not bwin.party’s 2013 settlement was like its similar federal-level payoff and was partly a “poison pill” payoff aimed at PokerStars future US-aimed marketing remains up for debate. However, the action by Kentucky continues to pose an ongoing legal threat to PokerStars planned return and expansion to those US plans in some states, even though Amaya has already received approval from New Jersey officials to use the PokerStars brand there. PokerStars and its then-parent Rational Group, admitted no wrongdoing in finally agreeing to the settlement which allowed Kentucky’s whitemail to partly succeed. However, Kentucky also refused to drop its ongoing right to pursue PokerStars for additional whitemail payoffs for its earlier activity serving Kentucky residents, which resulted in the second action that the PPA sought to join this week.